This month, Prince Harry will marry Meghan Markle in St George’s Chapel at Windsor Castle. About 600 guests will be in attendance, with countless more viewers expected to tune in to the live broadcast to see the grand event. Are you planning to watch the royal wedding? You certainly won’t be alone. 23 million U.S. viewers watched Prince William marry Kate Middleton in 2011. Wedding day coverage will begin on some U.S. channels as early as 4 a.m. EST on Saturday, May 19, and others will watch days of royal wedding fanfare leading up to the event. If this British event has you planning a royal wedding viewing party, the hot tea and custard scones may prompt you to connect with your friends and family in the United Kingdom. Luckily, it’s easier than ever to stay connected with your international contacts. 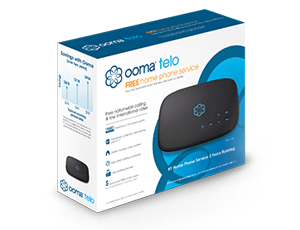 With Ooma Telo VoIP home phone, you get access to international calling rates that are more affordable than those typically available through traditional phone providers. We’re able to offer these rates because instead of transmitting phone calls via cell towers or landlines, we leverage the power of the Internet to provide crystal-clear international phone calls that cost only pennies per minute. Calls to U.K. landlines start at 2.8 cents per minute, and calls to U.K. mobile phones are only 5.9 cents per minute. Ultimate Connectivity With Unlimited Calls to the U.K. If you frequently call overseas, you might want an international plan that gives you unlimited access for one low monthly rate. Ooma World costs a low $9.99 per month for the first 12 months. Plus, there are no commitments or contracts so you can use it for as as long as you need. It’s that easy. Even if you won’t be spending the royal wedding day at home, you can still access your Ooma international phone service by using Ooma’s free calling app. When using the Ooma app, your calls to the U.K. will not count toward your cellular phone plan’s allotted minutes, nor will they rack up any additional international fees. Instead, the app will give you anywhere access to Ooma’s affordable international phone service. While all Ooma customers have access to the app, Ooma Premier subscribers get additional functionality, such as being able to both make and receive phone calls. Take Ooma With You When You Travel to the U.K. Whether you’re travelling to the U.K. this spring to see the royal wedding or another time, your trip can be a chance to see Buckingham Palace, London cultural sites, or catch the Wimbledon Championships in the summer. Plus, a trip to the U.K. is a perfect excuse to tour the locations of your favorite British shows and movies like Game of Thrones, Harry Potter, Downton Abbey, or The Great British Baking Show. Whatever your travel itinerary is, Ooma does more than let you call the U.K. before your trip. 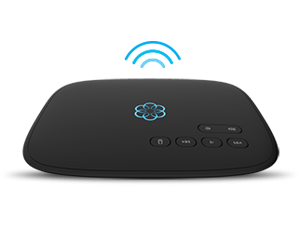 Ooma also keeps you connected when you’re traveling in the U.K. While you’re traveling overseas, use Ooma’s free calling app to access the affordable international rates and quality phone service that you enjoy at home. Use the app to confirm your train schedule, make reservations, or check your voicemail. Your phone number will stay the same, so friends and family won’t need to keep track of different numbers while you’re traveling. Plus, calls back to the U.S. won’t cost a penny, no matter what country you’re physically calling from. To avoid international cellular data rates, simply connect to Wi-Fi before placing any phone calls. Learn more about how you can use Ooma’s International phone plans to stay connected with locations around the globe.